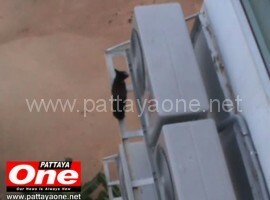 A 6 month old pussycat prompted a Security Guard to conduct a risky rescue early on Monday Morning at a South Pattaya Condominium. The incident occurred at a 9-storey building in Pratamnuk Soi 6 and began just before 5am when the Security Guard on-duty at the location, Khun Sunan aged 45, was conducting a pre-dawn inspection of the perimeter of the site when he heard cries from a young cat. 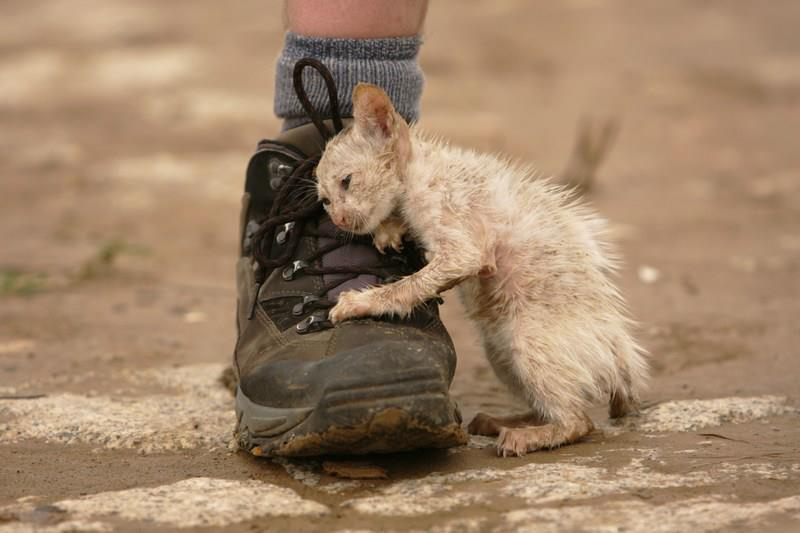 When Daybreak approached he spotted the kitten perched on a steel ledge used by an air-conditioning compressor. The Guard initially went to the top of the building and lowed a basket full of food to the kitten and hoped it would climb onto the basket which he could then pull-up to safety. This didn’t work so he gained access to a 7th floor room which allowed him to reach over and grab the kitten who was hungry but unharmed. He is still baffled as to how the kitten managed to find itself stuck on the 7th floor ledge. The owner of the kitten thanked the guard for his help and told us the feline had been missing since Sunday Night and she too could not figure out how it became trapped on the ledge. Considering it’s Pattaya, it could of beem something entirely different. Thailand – “Go away, can’t you see I’m busy?” said the cat. 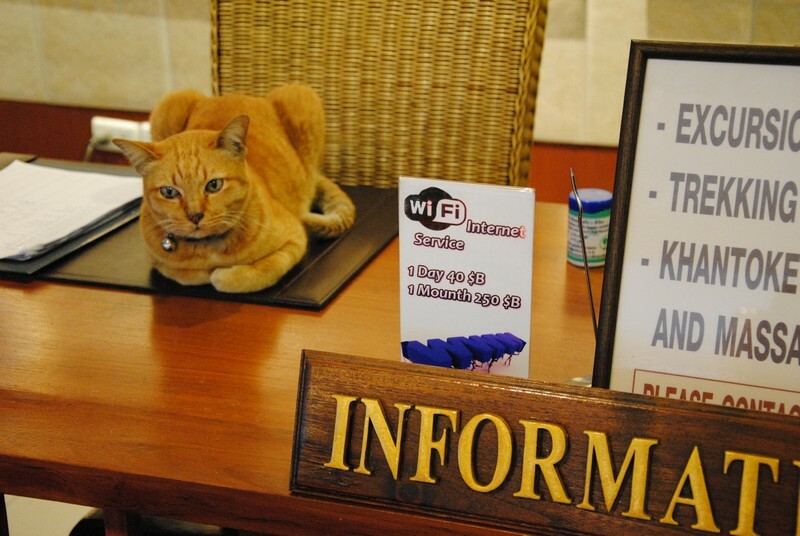 In the seven plus years I’ve live in Chiang Mai, I’ve NEVER seen a ‘Siamese Cat’ (see photo), not a one. 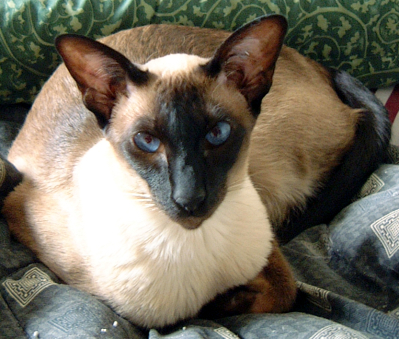 Unless of course you want to be pedantic, and consider ALL Thai cats, Siamese. Note: I don’t know who took the photograph, all I know is that it’s very good. This is a terrific blog showing how the Thai people are coping with the devestating flood. 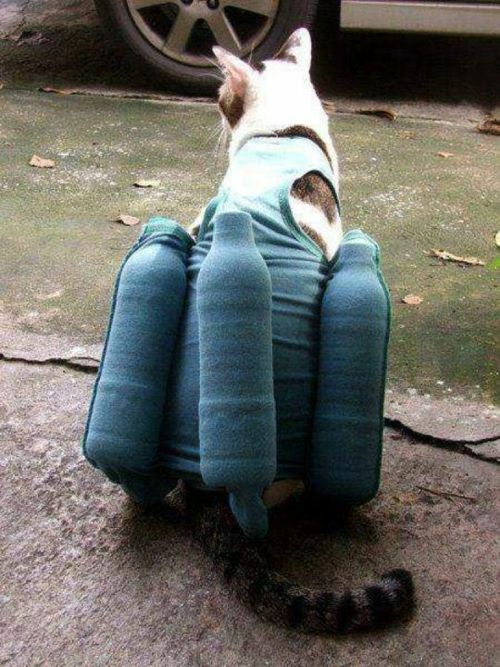 Water Bottle Swimming Vest for Cats via Message/Facebook submitted by Siriwat. 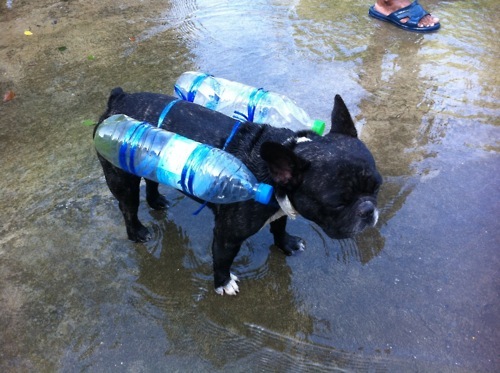 My parents’ dog can’t swim, so we made this makeshift doggie life jacket for him.